Moe’s Southwest Grill, a fast casual restaurant brand will open its new test kitchen and prototype, The Oasis, near the brand’s headquarters in Atlanta, GA on November 16. At this new location, local fans can experience the updated design and menu items currently in testing. New menu items will begin to rollout system-wide starting next year. We’re not about to change what makes Moe’s special so we’ll be amplifying our fan favorites including the “Welcome to Moe’s!” greeting, our free chips and salsa and our famous queso. 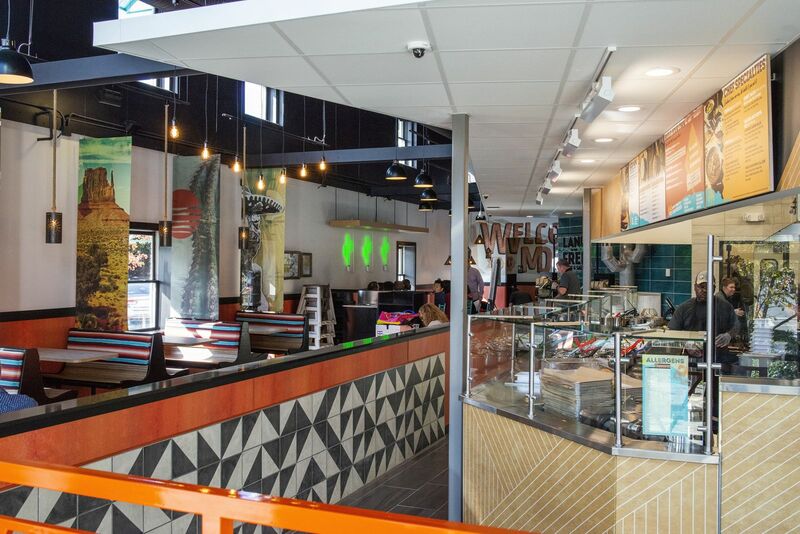 The Untamed Southwest positioning will continue to highlight our free-spirited attitude and our family-friendly environment; plus, we will continue to serve the menu staples that made us famous like burritos, bowls, stacks and quesadillas. With new dietary habits like keto, paleo and vegan becoming more prevalent combined with the on-demand economy where consumers have a proliferation of choice and scarcity of time, Moe’s wanted to create a fast casual dining experience that suits the individual needs of the entire family and besties alike. Moe’s is now testing an elevated menu to include new proteins, entree platforms, and shareables. Avocado Caesar Salad: Yucatan Shrimp, Shredded Romaine Lettuce, Sliced Hass Avocado, Cilantro, Cotija Cheese, Crispy Tortillas, Avocado Caesar Dressing. Quinoa Power Bowl: Mojo Chicken, Quinoa and Brown Rice Mix, Frijoles, Shredded Romaine Lettuce, Corn Pico, Sliced Hass Avocado, Cilantro, Queso Fresco, Salsa Verde. Street Taco: Crunchy Avocado, Soft Blue Corn Tortilla, Diced Onion, Queso Fresco, Cilantro, Lime, Chipotle Ranch. Torta: Applewood Smoked Brisket, Bolillo Bread, Frijoles, Chihuahua Cheese, Mayo, Sliced Tomato, Shredded Romaine Lettuce, Cilantro, Ancho BBQ Sauce. Shareables: Street Corn, Crunchy Avocado, Charro Beans, Mac ‘N Queso and Bunuelos. Beyond culinary innovation, The Oasis will feature new design features based on in-depth research and interviews with new and loyal guests. Expanding on the classic Moe’s design pallet, the brand has added colors and textures reflective of the diverse culture and breathtaking landscape of the Southwest. The Window to the Southwest, a brand hallmark, is a video played in the restaurant; it is an authentic way to give our fans an inside peek into what the Southwest means to us at Moe’s and how it encourages our attitude, food and culture. In addition, the operational enhancements developed for the prototype design ensure convenient service from engaged team members. Examples include a second production line and specific pick-up station for guests who use delivery and online ordering. 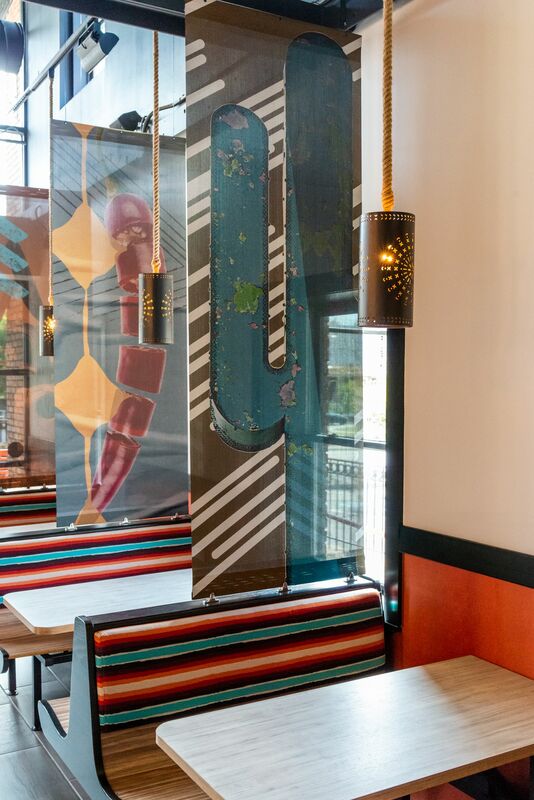 Moe’s remains a go-to spot for busy families and large groups; therefore, the prototype design includes a variety of seating options including booths, banquet and communal tables. The Oasis is located at 1450 Ernest Barrett Parkway in Kennesaw, GA and will begin serving guests November 16, 2018. Fans can also try the new menu items in testing at Moe’s Sandy Springs, GA at 6090 Roswell Road Sandy Springs, GA and, beginning in early 2019, at Moe’s Braselton, GA; Moe’s Phenix City, AL; and Moe’s Moline, IL. Welcome to Moe’s! Founded in 2000 and based in Atlanta, GA, Moe’s Southwest Grill is a fast casual restaurant franchise that serves high quality and fresh southwestern food. Moe’s has an extensive variety of menu items to please the entire family. Whether you visit one of 700 franchised locations or have them cater your next event, free chips and salsa come with every order. Moe’s Southwest Grill has been recognized as the Brand of the Year in the Fast Casual Mexican Restaurant category for two years in a row based on the 2016 & 2017 Harris Poll EquiTrend Studies. Check them out online at www.moes.com to find a store near you, and then connect on Instagram, Twitter and Facebook.